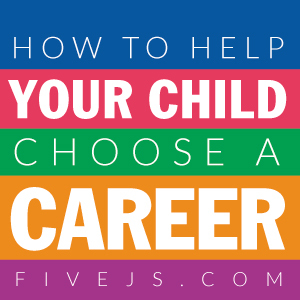 So now for the million-dollar question: What career would best fit my child? Well, there's no quick answer to that question because finding the answer is a process. Here are some ways to help you and your child discover what career might be the best fit for him. The most fulfilling career is usually one which involves a person’s interests, what he is passionate about. So what does your child like to do? (And make sure you don't limit the list to school subjects like math and science.) Does he like photography? Working with children or animals? Is he naturally generous? Does he like to cook or work with his hands to build things? Does he enjoy music? Is he good at teaching? Does he have leadership qualities? Does he like to figure out problems? Does he like learning other languages? Discuss this with your child and write a list of all his interests, even if they seem at first not to have anything to do with a career. And make sure you don't overlook interests that might have set off your annoy-o-meter either! These so-called annoying interests your child has just might be the first step in discovering a career path. Now that you have your list of interests, make another list of things your child is naturally good at doing. Then take a look at both those lists and pay special attention to that sweet spot where his interest and natural ability overlap! Using those lists, brainstorm some occupations that might fit those areas where your child’s interests and skills overlap. If you want a little help investigating specific careers that fit the types of interests your child has, you might check out Mapping Your Future. It's pretty general in its grouping of interests, basically dividing all interests into six groups: Realistic, Investigative, Artistic, Social, Enterprising, and Conventional. But it might be a good starting point. I always tell my kids to look at three things: their interests, what they are good at, and how they can make money. Where those 3 things intersect is the sweet spot.